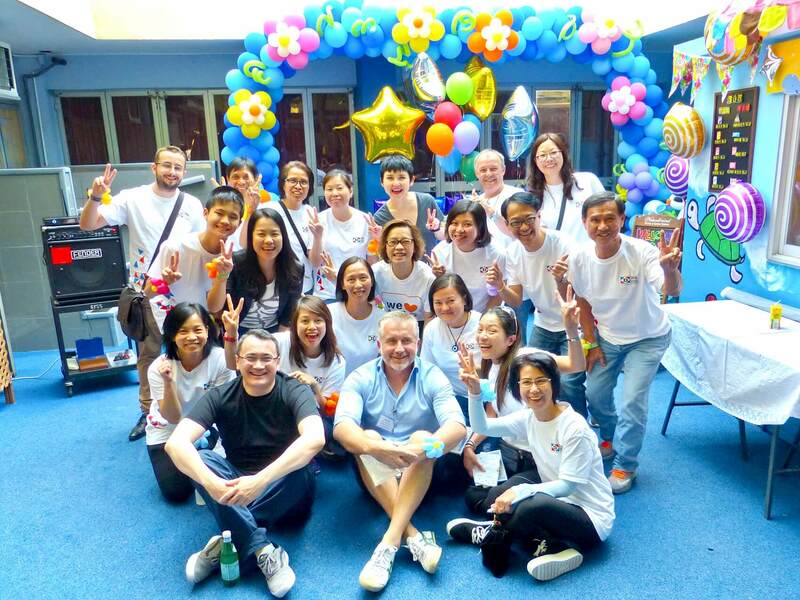 In 2015, Dragages Hong Kong leveraged our construction expertise to design and build a Sensory Gardenfor a school, which serves children with mild to moderate intellectual disabilities. By stimulating all five senses in four garden zones, the Sensory Garden turns to be a valuable learning therapy facility. Families, students, together with our CSR volunteers witnessed the inauguration of the Sensory Garden in October 2017. 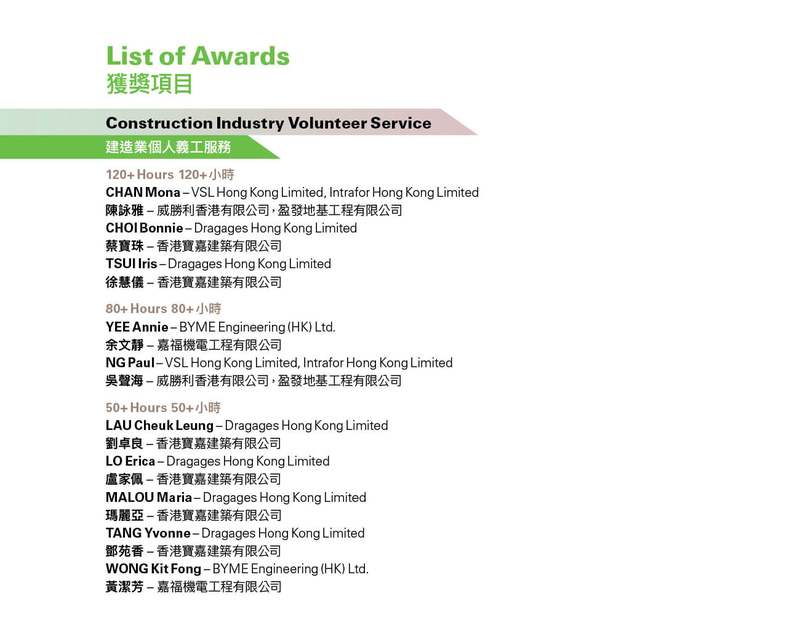 In July this year, Dragages Hong Kong received “Excellence in Construction Industry Volunteering Project – Gold Award” in the 1Construction Industry Volunteer Award Scheme by 2Construction Industry Sports & Volunteering Programme (CISVP), in recognition of our long-term commitment to the community and our promotion of social integration. In recent years, all Hong Kong entities join hands to step up our CSR efforts. AsiaWorld-Expo, BYME, Dragages Hong Kong, and VSL-Intrafor work collaboratively to promote and participate in various CSR activities. 1. 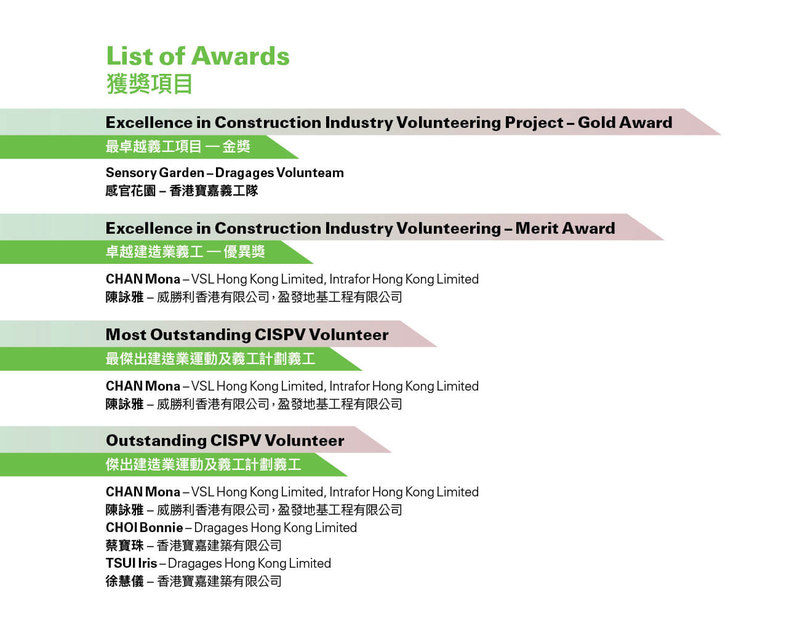 The Construction Industry Volunteer Award Scheme has been launched by CISVP in 2017 with an aim to recognize contributions from construction practitioners to the community so as to instill a caring culture amongst them, through recording their volunteer service hours. 2. The Construction Industry Sports & Volunteering Programme (CISVP) was established by the Construction Industry Council in October 2016 to encourage practitioners’ participation in sports programmes and volunteering services. CISVP has provided 120 volunteer services benefitting over 20,000 people.